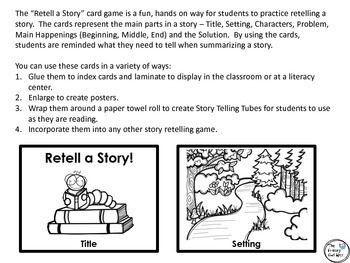 Primary teachers are always looking for ways to increase story retelling skills! 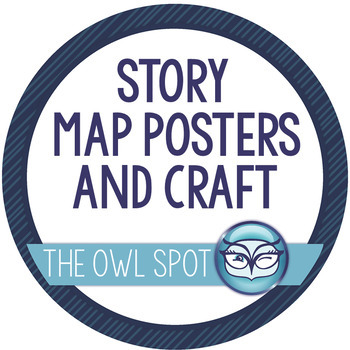 This poster and craftivity set is a great resource for your classroom. The posters are half page in size, and they come in both color and black and white. The illustrations on the posters and craftivity pieces are perfect cues for your beginning readers. 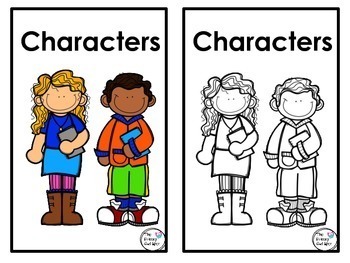 The craftivity involves students in making a story retelling tower, which they can use to help retell stories with a partner, a parent or volunteer, or on their own. 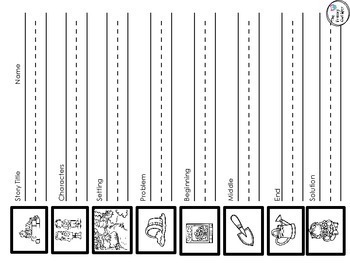 Materials needed are only the quarter page cut outs in this set, a paper towel roll, construction paper, scissors and glue, making this an easy activity to do with your students. Follow me for updates on products and great classroom resources!